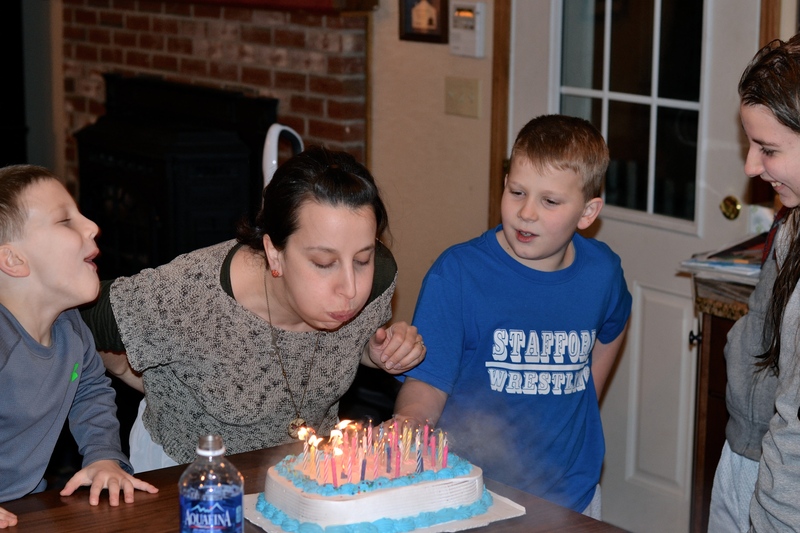 This is me, blowing out my candles at 9pm at night after a long long day and wrestling practice for the guys. I wish you could have heard the family’s rendition of “Happy Birthday” it was goofy and I think it was in three part (or more) harmony, too. 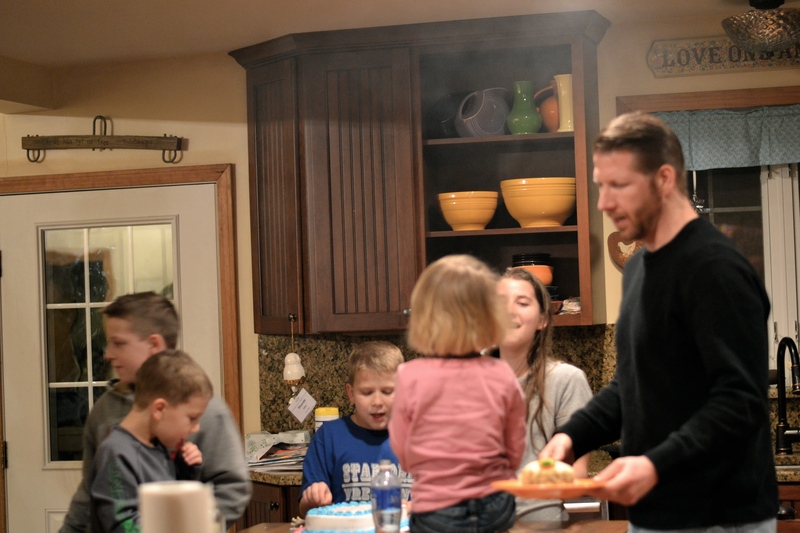 It took a while for the smoke to clear from the kitchen! And, thank you so much for having fun with me here on the blog regarding the perfume sample giveaway. Here is a video announcing the winner. We did no preparation and we only did one take. I love my Davy. This entry was posted in a simply lovely life, family and tagged birthdays, david, videos by Shanda. Bookmark the permalink. You are so cute. Nice to hear you all had fun! I absolutely LOVE, LOVE, LOVE!!!! Jo Malone perfume! I like how you can mix and match or just wear them each alone. and there are SO many to try. 🙂 I’m sad I missed your giveaway. Also…it was fun to see the video and hear your voice. Haha.